Unless otherwise noted, all text, photographs and images on this blog are copyrighted and are the property of K.B. Carpenter; they may not be copied or used elsewhere without permission. Thank you! As winter approaches I have a goal, a desire, a wish all rolled into one. I want to keep running - somehow. I said that last year and I failed. I have an even greater incentive this year. My thinking process during running has become amazing. Running not only makes me feel better physically and emotionally, it is the incubative (I just made that word up, I think) process for major projects. 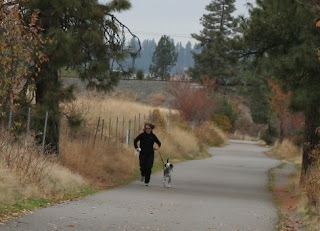 If I could attach a recording device to my brain as I ran, an entire book would be near completion. As I run dialogue from this unwritten book pops into my head, art ideas bounce around, blog post possibilities announce themselves. How can I do without that for four months? I have to keep hold of this superpower ability while it's here. Who knows how long it will last? And here's the worst part - no matter what indoor physical activity you do all winter (treadmill, elliptical) when you start running again in the spring it is as though you were back to square one! What are the obstacles to winter running? A running expert told me that if I just got in one decent run (3-5 miles) a week, and did something else indoors the rest of the week, I would keep my running fitness come spring. I could run in flat areas that have been plowed. With either of these solutions I will have to get over my aversion to getting in a car to go someplace to run. It just seems like such a ridiculously American thing to do. 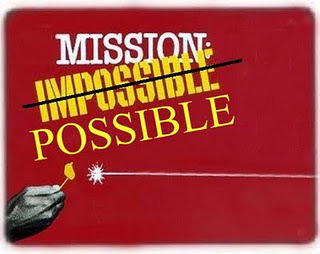 I will keep working on other ideas to make my impossible mission possible. Any thoughts? You could think about running on one of the school tracks that aren't too far away. That surface might be cleared of snow more quickly. Ahhhhh, what wonderful suggestions! Warmer climates and long face-to-face conversations become more and more attractive as time moves along. © 2011 - 2013 K.B. Carpenter. All Rights Reserved.